As we begin in 2019, we are of course at the beginning of a new twelve-month cycle with all that this generally means in terms of new beginnings and personal resolutions for the future. This year we are also at the beginning of a new seven-year cycle making it a particularly important opportunity to revise and reset our direction both internally and externally. The past seven years have been especially notable for the intensity of the clearing process that we have been going through, a process instigated by the reseeding of the Unity Consciousness matrix both within Mother Earth and the hearts of humanity. The next seven years will bring expanded opportunities to evolve and grow in the light of this matrix, building on the work that we have all done within ourselves over the last few years. 2018 was not an easy year for many people as the cosmos assisted us to clear as much old patterning as we could, readying us to move forward over the coming years. We started the new year with a welcome release from the energy intensity of the string of retrograde planets we experienced during 2018. From January 6th all planets are in forwarding movement and there is a feeling of freedom and flow that is both liberating and refreshing. We have two eclipses in January, a new moon solar eclipse on January 5/6th and a full moon lunar eclipse on January 20/21st. The period in between a pair of eclipses like these provides a valuable window of opportunity in which to reflect and reset anything in your life that needs adjustment or change. Take time out during this period to consciously connect with your own inner guidance for clarity, purpose, and direction for the coming months. This is an opportunity to gather the wisdom from everything that you have been working on over the last few years, release anything that no longer resonates and gets ready to move forward in a new way. Be kind to yourself if old issues get triggered around this time and simply allow and release with a minimum of drama. 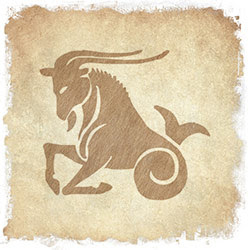 The prevailing planetary influence for most of January comes to us from the constellation of Capricorn, represented by the mountain goat in personality-based astrology and the unicorn in soul-based astrology. The magnified qualities of earthy Capricornian energies will bring a focus to the need for more fair and equitable use of the Earth’s resources and in particular whether they are used for the greater good of all. We now have both Pluto and Saturn in Capricorn, influences that will further enhance the Capricornian focus on the restructuring old worn out forms, be these old thought forms or corporate structures that are still operating from an old perspective. This is great energy in which to rearrange anything in your life that feels in need of an upgrade. It can also bring to the fore any fears or insecurities that we might have regarding our everyday security and survival in life, especially if we find ourselves in a process of unexpected change, something that might be facilitated by this month’s energy flow. If this is your experience remember that Capricornian energy stimulates the building of appropriate foundations so that you have the necessary structure from which to expand your connection with your true self. Sometimes old things have to be dissolved before the new can be put in place. Although the structure in question could be something in your outer world like an outworn relationship or incompatible job it could just as easily be an old belief structure that is holding you back. Just do your best to go with the flow and all will be well. As we draw our attention inside of ourselves this month it might be very interesting to reflect on just how much our perception of reality has altered over the past seven years of clearing out old patterns. Taking this a step further, are we taking full advantage of the new, more expanded levels of consciousness now available to us? The opportunity to engage Unity Consciousness is very available to us but we still have to make a choice to step into it. Relationships are one area where you may find that a profound change is taking place, one that will continue to grow over the coming years. Previously most relationships were unconsciously based on a shared ‘story’, a common vibration that created the attraction point that drew us together. Many such relationships were with karmic mates, souls we had played the same games with many times before, often reinforcing the story and creating a magnetic attraction that drew us back into different versions of relationship with them many times. Now, as the ‘stories’ fall apart so does the magnetic attraction. This leaves a wide-open opportunity for us to take our experience of relationship to a whole new level, one based in the heart/soul vibration of Unity Consciousness. As we choose to relate to each other primarily through the heart, our experience of the interconnectedness of all life will grow and from this greater community and sharing will become inevitable. We so look forward to the day when the greater proportion of humanity remembers how to relate to each other in unconditional love, as brothers and sisters. As you reflect on the changes in your relationships don’t forget to check in on the one that you have with yourself. Hopefully, you will find that in line with everything else, this relationship is now in the process of undergoing a serious makeover. Without the power of the old ‘stories’ to hold us back it is much easier for us to extend compassion, love, and acceptance to ourselves, however, it is interesting how often we can still neglect this very important prerequisite to engaging Unity Consciousness if we are not paying attention. If you should find yourself struggling to find loving acceptance for yourself this month, take a few deep breaths, disengage from the trigger and move your awareness into your heart chakra. As a reflection of your Creator you already love, let it flow, intensify and expand, moving it into every chakra and energy body until your perspective has shifted. Listen in the stillness and be kind to yourself! It can be all too easy to get pulled back into old behavior loops if we allow ourselves to get distracted by the noise and chaos of the massive clearing process that is happening on the world stage right now. Emotions everywhere are running high so pay attention to how you engage with what is going on around you. We can best assist the transformation from a place of balanced detachment that allows us to be empowered enough to choose the response that offers in any given situation. This can be challenging, especially if we feel very strongly about something or are caught off guard.